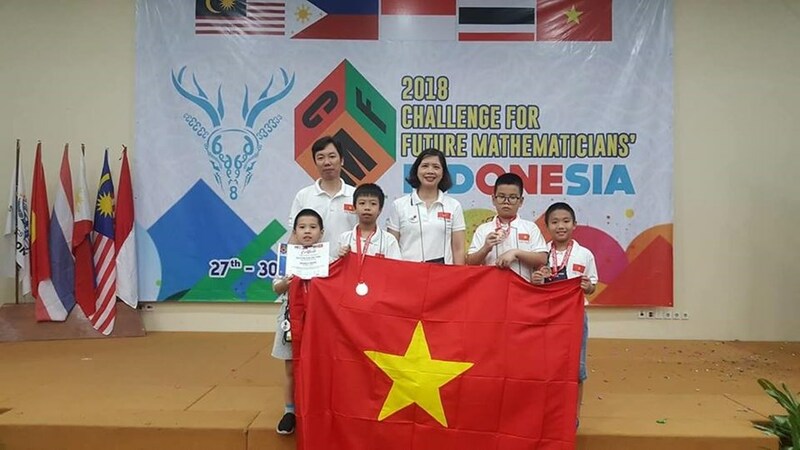 Seven gold medals are part of what Vietnamese representatives participating in the Challenge for Future Mathematicians in Indonesia just brought home. 48 Vietnamese students taking part in the contest held in Indonesia on October 27-30 were awarded medals and prizes, comprising seven gold, 16 silver, 20 bronze and five consolation prizes, according to the Hanoi Department of Education and Training. Meanwhile their teamwork brought in one champion honour, four fist and four silver prizes. With the results, Vietnam ranked first among 12 countries and territories which attended the event. Challenge for Future Mathematicians is an international contest held annually from 2014 in alternating countries for pupils from grade 3 to 8. In this year’s competition, students had to do a writing test individually and then were divided into groups for a quiz./.